The Baloch or Baluch (Balochi: بلوچ) are an Iranian peoples who live mainly in the Balochistan region of the southeastern-most edge of the Iranian plateau in Pakistan, Iran, and Afghanistan, as well as in the Arabian Peninsula. They mainly speak the Balochi language, a branch of Northwestern Iranian languages. About 50% of the total Baloch population live in Balochistan, a western province of Pakistan; 40% of Baloch are settled in Sindh; and a significant number of Baloch people in Punjab of Pakistan. They make up nearly 3.6% of the Pakistani population, about 2% of Iran's population (1.5 million) and about 2% of Afghanistan's population. Baloch people co-inhabit desert and mountainous regions along with Pashtuns. Baloch people practice Islam, are predominantly Sunni, and use Urdu as the lingua franca to communicate with other ethnic groups such as Pashtuns and Sindhis. The exact origin of the word 'Baloch' is unclear. Rawlinson (1873) believed that it is derived from the name of the Babylonian king and god Belus. Dames (1904) believed that it is derived from the Persian term for cockscomb, said to have been used as a crest on the helmets of Baloch troops in 6th century BCE. Herzfeld (1968) proposed that it is derived from the Median term brza-vaciya, which describes a loud or aggressive way of speaking. Naseer Dashti (2012) presents another possibility, that of being derived from the name of the ethnic group 'Balaschik' living in Balashagan, between the Caspian Sea and Lake Van in present day Turkey and Azerbaijan, who are believed to have migrated to Balochistan during the Sassanid times. The remnants of the original name such as 'Balochuk' and 'Balochiki' are said to be still used as ethnic names in Balochistan. Some writers suggest a derivation from Sanskrit words bal, meaning strength, and och meaning high or magnificent. An earliest Sanskrit reference to the Baloch might be the Gwalior inscription of the Gurjara-Pratihara ruler Mihira Bhoja (r. 836–885), which says that the dynasty's founder Nagabhata I repelled a powerful army of Valacha Mlecchas, translated as "Baluch foreigners" by D. R. Bhandarkar. The army in question is that of the Umayyad Caliphate after the conquest of Sindh. According to Baloch lore, their ancestors hail from Aleppo in what is now Syria. They are descendants of Hazrat Ameer Hamza, uncle of the prophet Muhammad, who settled in Halab (present-day Aleppo). They fled to the Sistan region, remaining there for nearly 500 years until they fled to the Makran region following a deception against the Sistan leader Badr-ud-Din. However, based on an analysis of the linguistic connections of the Balochi language, which is one of the Western Iranian languages, the original homeland of the Balochi tribes was likely to the east or southeast of the central Caspian region. The Baloch began migrating towards the east in the late Sasanian period. The cause of the migration is unknown but may have been as a result of the generally unstable conditions in the Caspian area. The migrations occurred over several centuries. By the 9th century, Arab writers refer to the Baloch as living in the area between Kerman, Khorasan, Sistan, and Makran in what is now eastern Iran. Although they kept flocks of sheep, the Baloches also engaged in plundering travellers on the desert routes. This brought them into conflict with the Buyids, and later the Ghaznavids and the Seljuqs. Adud al-Dawla of the Buyid dynasty launched a punitive campaign against them and defeated them in 971–972. After this, the Baloch continued their eastward migration towards what is now Balochistan province of Pakistan, although some remained behind and there are still Baloch in eastern part of the Iranian Sistan-Baluchestan and Kerman provinces. By the 13th–14th centuries waves of Baloch were moving into Sindh, and by the 15th century into the Punjab. According to Dr. Akhtar Baloch, Professor at University of Karachi, the Balochis migrated from Balochistan during the Little Ice Age and settled in Sindh and Punjab. The Little Ice Age is conventionally defined as a period extending from the sixteenth to the nineteenth centuries, or alternatively, from about 1300 to about 1850. Although climatologists and historians working with local records no longer expect to agree on either the start or end dates of this period, which varied according to local conditions. According to Professor Baloch, the climate of Balochistan was very cold and the region was inhabitable during the winter so the Baloch people migrated in waves and settled in Sindh and Punjab. The area where the Baloch tribes settled was disputed between the Persian Safavids and the Mughal emperors. Although the Mughals managed to establish some control over the eastern parts of the area, by the 17th century, a tribal leader named Mir Hasan established himself as the first "Khan of the Baloch". In 1666, he was succeeded by Mir Aḥmad Khan Qambarani who established the Balochi Khanate of Kalat under the Ahmadzai dynasty. [note 1] Originally in alliance with the Mughals, the Khanate lost its autonomy in 1839 with the signing of a treaty with the British colonial government and the region effectively became part of British Raj. Gold ornaments such as necklaces and bracelets are an important aspect of Baloch women's traditions and among their most favoured items of jewellery are dorr, heavy earrings that are fastened to the head with gold chains so that the heavy weight will not cause harm to the ears. They usually wear a gold brooch (tasni) that is made by local jewellers in different shapes and sizes and is used to fasten the two parts of the dress together over the chest. In ancient times, especially during the pre-Islamic era, it was common for Baloch women to perform dances and sing folk songs at different events. The tradition of a Baloch mother singing lullabies to her children has played an important role in the transfer of knowledge from generation to generation since ancient times. Apart from the dressing style of the Baloch, indigenous and local traditions and customs are also of great importance to the Baloch. Baloch Culture Day is celebrated by the Balochi people annually on March 2 with festivities to celebrate their rich culture and history. Traditionally, Jalal Khan was the ruler and founder of the first Balochi confederacy in 12th century. (He may be the same as Jalal ad-Din Mingburnu the last ruler of the Khwarezmian Empire.) Jalal Khan left four sons - Rind Khan, Lashar Khan, Hoth Khan, Kora Khan and a daughter, Bibi Jato, who married his nephew Murad. Traditionally, these five are claimed as the founders of the five great divisions of the Baloch: the Rind, the Lashari (Laashaar), the Hoth, the Korai and the Jatoi. As of 2008 it was estimated that there were between eight and nine million Baloch people living in Afghanistan, Iran and Pakistan. They were subdivided between over 130 tribes. Some estimates put the figure at over 150 tribes, though estimates vary depending on how subtribes are counted. The tribes, known as taman, are led by a tribal chief, the tumandar. Subtribes, known as paras, are led by a muquaddam. Five Baloch tribes derive their eponymous names from Khan's children. Many, if not all, Baloch tribes can be categorized as either Rind or Lashari based on their actual descent or historical tribal allegiances that developed into cross-generational relationships. This basic division was accentuated by a war lasting 30 years between the Rind and Lashari tribes in the 15th century. There are 180,000 Bugti based in Dera Bugti District. They are divided between the Rahija Bugti, Masori Bugti, Kalpar Bugti, and Daiga sub-tribes. [full citation needed] Nawab Akbar Khan Bugti led the Bugti as Tumandar until his death in 2006. Talal Akbar Bugti was the tribal leader and President of the Jamhoori Watan Party from 2006 until his death in 2015. There are 98,000 Marri based in Kohlo district, who further divide themselves into Gazni Marri, Bejarani Marri, and Zarkon Marri. Hyrbyair Marri has led the Balochistan Liberation Army since his brother's death in 2007. The Zehri are based in Zawa, Jhalawan where they are the largest tribe. Sanaullah Zehri, the Chief Minister of Balochistan, is the Zehri's tribal chief. The Zehri have Sasoli and Zarakzai subtribes. Mir Jafar Khan Jamali, a veteran politician from Muslim League and a tribal leader from Balochistan. He was a close friend of Quaid-e-Azam Muhammad Ali Jinnah. Zafarullah Khan Jamali, 15th prime minister of Pakistan. Musa Khan, former commander in chief of Pakistan army. Asif Ali Zardari, 11th president of Pakistan. Asif Saeed Khan Khosa, 26th chief justice of Pakistan. Sardar Usman Buzdar, current chief minister of Punjab province. Bilawal Bhutto Zardari, current chairman of Pakistan People Party. Shireen Mazari, federal minister for human right and a member of Pakistan Tehreek-e-Insaf. Farooq Leghari, 8th president of Pakistan. Kiran Maqsood Baluch, a Pakistani women cricketer. Aftab Baloch, a former Pakistani cricketer. Zulfiqar Ali Khosa, former governor of Punjab province. Mir Hazar Khan Khoso, Chief Justice of the Federal Shariat Court of Pakistan. Latif Khosa, Governor of Punjab. Muhammad Muqeem Khan Khoso, Chief Sardar Of Khoso Tribe and elected MPA from PS-14 Jacobabad. Sarfraz Bugti, former home minister of Balochistan. Currently member of senate. Jam Kamal Khan, current chief minister of Balochistan. Sanaullah Khan Zehri, 15th chief minister of Balochistan. Siraj Raisani, member of Balochistan Awami Party. He is also a recipient of Sitara-e-Shujaat (star of bravery). Miraj Ahmed Umrani, Sitara-e-Shujaat (star of bravery) recipient. He belongs to Umrani tribe. Sardar Mir Balakh Sher Mazari, former caretaker prime minister. Abdul Qadir Baloch, retired General in Pakistan army. Currently Pakistani politician. ^ A number of unrelated tribes with the name Ahmadzai exist. There are two Pashtun tribes who are unrelated to each other with this name: the Ahmadzai who are a Waziri tribe and the Sulaimankhel Ahmadzai, part of the Ghilzai confederation. However, the Ahmadzai Khans of Khalat were neither of these and belonged to a Brahui tribe. ^ "Dawn News". Retrieved 30 November 2018. ^ "Iran Minorities 2: Ethnic Diversity". iranprimer.usip.org. Retrieved 1 March 2017. ^ "Ethnic groups: Pashtun 42%, Tajik 27%, Hazara 9%, Uzbek 9%, Aimak 4%, Turkmen 3%, Baloch 2%, other 4%". The World Factbook. Central Intelligence Agency (CIA). Archived from the original on 14 October 2013. Retrieved 18 September 2010. ^ "Oman: Languages". PeopleGroups.org. Retrieved 30 November 2018. 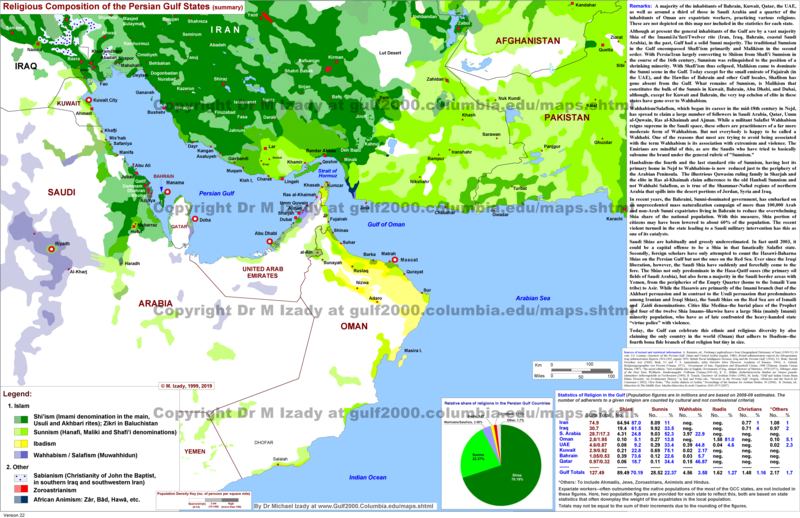 ^ "United Arab Emirates: Languages". Ethnologue.com. Retrieved 24 October 2016. ^ Baloch, Southern in Saudi Arabia, Joshua Project. ^ Zehi, Pirmohamad. "A Cultural Anthropology of Baluchis". Iran Chamber Society. ^ Blood, Peter, ed. "Baloch". Pakistan: A Country Study. Washington: GPO for the Library of Congress, 1995. ^ Dashti, The Baloch and Balochistan 2012, pp. 8, 33–34, 44. ^ a b Dashti, The Baloch and Balochistan 2012, pp. 33–34. ^ Bhandarkar, D. R. (1929). "Indian Studies No. I: Slow Progress of Islam Power in Ancient India". Annals of the Bhandarkar Oriental Research Institute. 10 (1/2): 30. JSTOR 41682407. ^ Olson; et al. (1994). An Ethnohistorical Dictionary of the Russian and Soviet Empires. Greenwood Publishing Group. p. 101. ISBN 978-0313274978. ^ J. Elfenbein (1988). "BALUCHISTAN iii. Baluchi Language and Literature". Encyclopedia Iranica. Retrieved 30 December 2014. ^ a b c Spooner, Brian (1988). "BALUCHISTAN i. Geography, History and Ethnography". Encyclopedia Iranica. Retrieved 30 December 2014. ^ Mann, Michael (2003). "Little Ice Age". In MacCracken, Michael C.; Perry, John S. (eds.). Encyclopedia of Global Environmental Change, Volume 1, The Earth System: Physical and Chemical Dimensions of Global Environmental Change (PDF). John Wiley & Sons. Retrieved 17 November 2012. ^ Lamb, H. H. (1972). "The cold Little Ice Age climate of about 1550 to 1800". Climate: present, past and future. London: Methuen. p. 107. ISBN 0-416-11530-6. (noted in Grove 2004:4). ^ "Earth observatory Glossary L-N". NASA Goddard Space Flight Center, Green Belt MD: NASA. Retrieved 17 July 2015. ^ Miller et al. 2012. "Abrupt onset of the Little Ice Age triggered by volcanism and sustained by sea-ice/ocean feedbacks" Geophysical Research Letters 39, 31 January: abstract (formerly on AGU website) (accessed via wayback machine 11 July 2015); see press release on AGU website (accessed 11 July 2015). ^ Grove, J. M., Little Ice Ages: Ancient and Modern, Routledge, London (2 volumes) 2004. ^ Matthews, J. A. and Briffa, K. R., "The 'Little Ice Age': re-evaluation of an evolving concept", Geogr. Ann., 87, A (1), pp. 17–36 (2005). Retrieved 17 July 2015. ^ "1.4.3 Solar Variability and the Total Solar Irradiance – AR4 WGI Chapter 1: Historical Overview of Climate Change Science". Ipcc.ch. Retrieved 24 June 2013. ^ Kieffer, Ch. M. "AḤMADZĪ". Encyclopædia Iranica (Online ed.). United States: Columbia University. ^ "Ethnic Identity in Afghanistan". Naval Postgraduate School. Archived from the original on 18 November 2007. Retrieved 3 January 2015. ^ Bettina Bruns; Judith Miggelbrink (8 October 2011). Subverting Borders: Doing Research on Smuggling and Small-Scale Trade. Springer Science & Business Media. p. 52, footnote 12. ISBN 978-3-531-93273-6. ^ Minahan, James (2012). Ethnic Groups of South Asia and the Pacific: An Encyclopedia. ABC-CLIO. p. 48. ISBN 978-1-59884-659-1. ^ Axmann, Martin (2008). Back to the Future: The Khanate of Kalat and the Genesis of Baloch Nationalism, 1915–1955. Oxford University Press. p. 22. ISBN 978-0-19-547645-3. ^ "Baloch Society & culture". Baask.com. Archived from the original on 16 September 2011. Retrieved 7 September 2010. ^ "Baloch Cultural Day celebrated with colourful functions, gatherings". Pakistan Today. Pakistan Today. 2 March 2018. Retrieved 21 April 2018. ^ Dashti, Naseer (2012). The Baloch and Balochistan: A Historical Account from the Beginning to the Fall of the Baloch State. Bloomington, Indiana: Trafford Publishing. pp. 103–104. ISBN 978-1-4669-5896-8. ^ Badalkhan, Sabir (2013). Two Essays on Baloch History and Folklore. Balochistan Monograph Series, V. Naples, Italy: Universita degli studi di Napoli. p. 20. ISBN 978-88-6719-060-7. ^ a b c d Tahir, Muhammad (3 April 2008). "Tribes and Rebels: The Players in the Balochistan Insurgency". Terrorism Monitor. Jamestown Foundation. 6 (7). Retrieved 6 December 2017. ^ Baloch, Muhammad Amin (1999). Inside Ormara. Muhammad Amin Baloch. p. 83. ^ Bonarjee, P. D. (1899). A handbook of the fighting races of India. Thacker, Spink & Co. p. 47. ^ Asimov, M. S.; Bosworth, C. E. (1992). History of Civilizations of Central Asia (vol.4, part-1). Motilal Banarsidass Publishing. p. 305. ^ Pakistan Horizon, Volume 59, Issues 3-4. Pakistan Institute of International Affairs. 2006. ^ "JWP leader Talal Bugti passes away in Quetta". The Express Tribune. 27 April 2015. ^ Mary Anne Weaver (2010). Pakistan: In the Shadow of Jihad and Afghanistan. Macmillan. p. 104. ^ Jugdep S. Chima (2015). Ethnic Subnationalist Insurgencies in South Asia: Identities, Interests and Challenges to State Authority. Routledge. p. 126. ISBN 978-1138839922. ^ "Voice of Baloch Nationalists in powerful US congress". Pakistan Christian Post. 8 February 2012. ^ Political Competition and Social Organization: Explaining the Effect of Ethnicity on Public Service Delivery in Pakistan Aisha Shafique. (The Ohio State University: 2013). Page 27. ^ Malik Siraj Akbar (2011). The Redefined Dimensions of Baloch Nationalist Movement. Xlibris Corporation. p. 312. ^ Dr Shahida Jaffrey Jamali (6 April 2017). "Remembering Mir Jaffar Khan Jamali". Daily Times. ^ "Zafarullah Khan Jamali - Age, Political Party, Family and Education". ARYNEWS. 11 August 2018. ^ "Asif Ali Zardari". DAWN.COM. 13 January 2011. ^ "Justice Asif Saeed Khosa to be sworn in as 26th Chief Justice of Pakistan". www.thenews.com.pk. ^ Haider, Sikandar (18 August 2018). "Poorest Baloch tribe's chief set to rule Punjab". The Nation. ^ "Bilawal Bhutto Zardari Net Worth, Height, Age, Family -Bio & Wiki". ARYNEWS. 14 July 2018. ^ Birmani, Tariq Saeed (28 November 2015). "Mazari tribe divided over local politics". DAWN.COM. ^ "Farooq Ahmad Khan: Bhutto's pick, until he sacked her". The National. ^ Notezai, Muhammad Akbar (10 January 2018). "Profile: Sanullah Zehri — more of a Sardar than a politician". DAWN.COM. ^ "'I am Siraj Khan Raisani Baloch & I will die a Pakistani'". www.thenews.com.pk. ^ a b "President Alvi confers top civil, military awards for excellence on Pakistan Day". DAWN.COM. 23 March 2019. ^ "Balakh Sher Mazari - Age, Son, Family, Political party". ARYNEWS. 15 July 2018. Wikimedia Commons has media related to Baloch. "Iran". The World Factbook. Central Intelligence Agency.